Western Kentucky is the sprawling region between I-65 and Kentucky Lake. It's a diverse region, with large prosperous farms, the Western Kentucky Coal Fields, the Ohio River, and a hill country of forests, lakes, shallow rivers and state park resorts. It includes the river towns of Owensboro and Henderson, the coal center of Madisonville, and the Old South town of Hopkinsville. 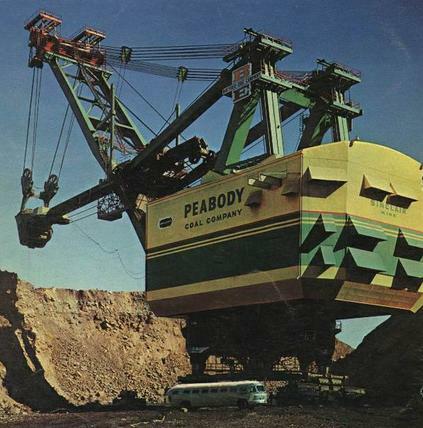 There are riverboats to ride, giant coal shovels to see (as at right; notice the bus dwarfed at bottom), trails to hike, lakes and streams to fish, and historical sites to visit. Both Jefferson Davis and Abraham Lincoln were born here, meaning presidents of both the Union and the Confederacy had common roots. John James Audubon did his pioneering bird research and painting here, and you can visit the park commemorating him and his work. Actors like Warren Oates (Powderly), singers like The Everly Brothers (Central City) and authors like Robert Penn Warren (Guthrie) were born and raised here. 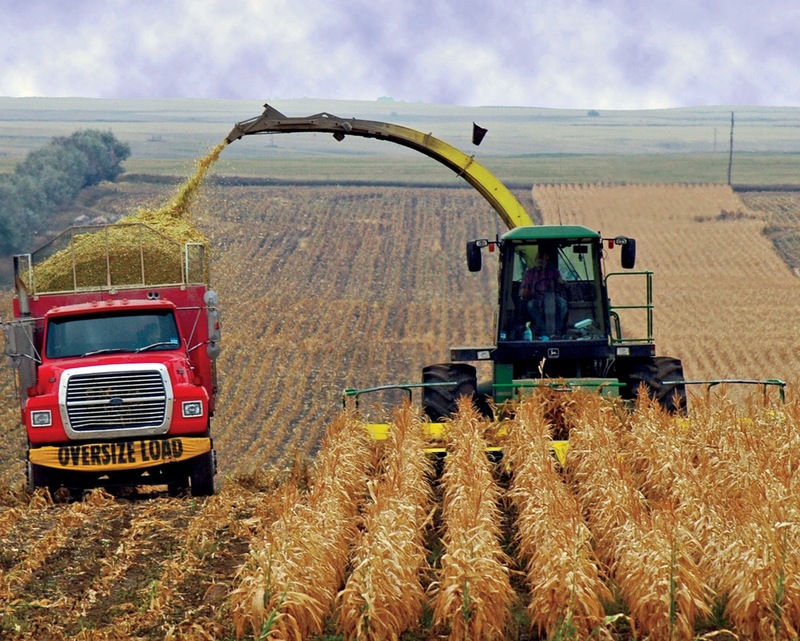 The big cattle ranches and corn and soybean farms have long been one of the nation's top food suppliers, but since 2000 much of the corn and soybean crops have been diverted to local ethanol factories near Henderson. Western Kentucky does not contain a lot of restaurants, but it does contain some good ones, a few dating from the mid 1800s. Travellers can eat quite well here. 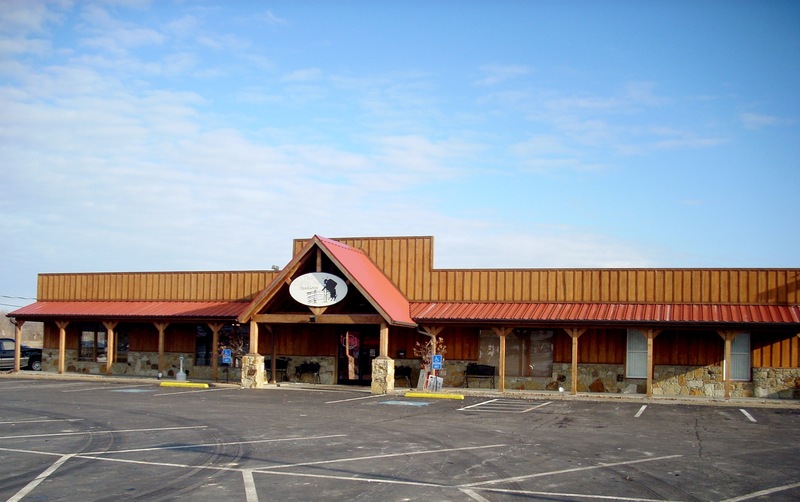 Tony York's is the best restaurant in the Region and one of Kentucky's Top 10. It's in the old 1883 depot in Glendale, a village just off I-65 11 miles south of Elizabethtown. It burned to the ground in 1931 and 2008, so even though it's been rebuilt each time to match the original, this is no longer a historic building. Tony York has recruited a trio of young chefs : Kir Hollenbach, Jennifer Horn and Christina Evans. One of their Signature dishes is their Jager Schnitzel (veal cutlet pounded thin, then fried in a milk and mushroom gravy and served on a bed of green beans), which they serve only for lunch Saturday. We review German specialty restaurants in major cities and this Jager Schnitzel is competitive with any of them. Lunchtime appetizers include Fried Green Tomatoes, Country Ham Cheese Grits (with blackened shrimp), and Pork Pot Stickers. Of their lunch Soups, the Potato Cheddar is good, but the Tomato Basil is one of the better versions in the state. Their Candied Apple Sugared Pecan Salad is outstanding, but there's also a Classic Greek and Caesar. The art hanging on the walls and the pottery pieces sitting on various surfaces are created by locals and are for sale. 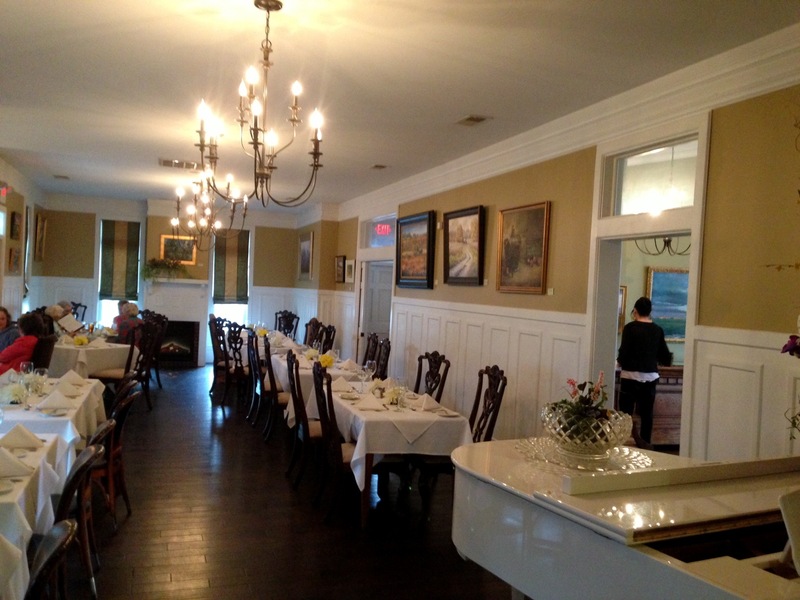 The Doe Run Inn in Brandenburg was built by Abraham Lincoln's father and brother. 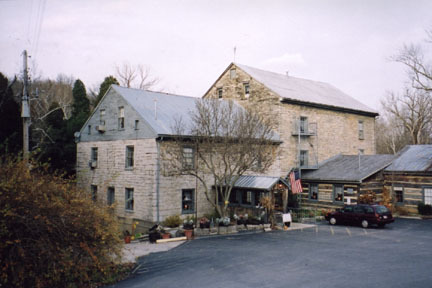 This grist mill, tavern and inn is one of the oldest continuously operating businesses in the state. 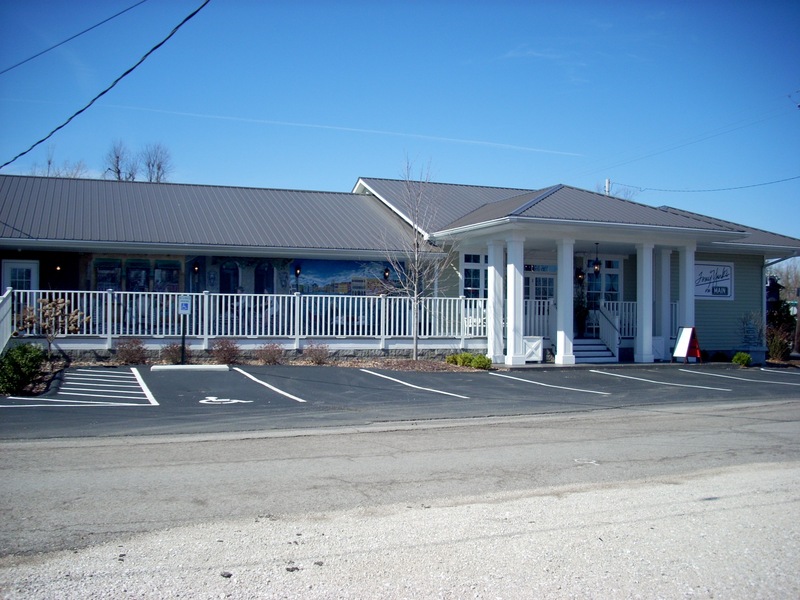 It's ranked as one of seven Signature Restaurants by the Kentucky Tourism Department, one of the top 10 overall restaurants in the state, and is definitely the second best restaurant in the Region. You could spend the night in one of the 11 rooms or in the log cabin. At one point this was a popular spa, with people coming to bathe in the healing sulfur waters. The spa's closed, but the food is great. They specialize in historic Kentucky cuisine : Fried Chicken, Meatloaf, Cat Fish, Corn Pudding, Hot Brown, Homemade Biscuits, Sweet Potato Casserole. Among the appetizers, you MUST try the Country Ham Balls, which they've served here for two centuries, rolling cured ham and fresh ground sausage into meat balls and simmering them in brown sugar. The Hot Roast Beef Sandwich is a 1950s classic, and the Chicken Livers in cream gravy is a great interpretation of this down home dish. Their Country Ham is salt cured, cast iron cooked, in rich red eye gravy. Shady Cliff Resort is on Lake Malone on the Logan - Muhlenberg County line. You get to eat an early dinner while looking out over the lake and surrounding hills. This is an especially beautiful trip in Spring or Fall. Among their appetizers, we like the Blooming Onion and Fried Pickles. The Carolina Shrimp Pecan Salad is a great way to start a meal. Their signature entrees are their Catfish Fiddlers and various Southern fish. But the Smoked Pork Chop and Country Ham are close seconds. You need to split your desserts and pass around. Somebody has to order the Sawdust Pie, somebody the Peanut Butter Pie and somebody else the Boat Sinker. There's also a dinner cruise on their specially equipped boat. You cruise the entire length of Lake Malone and back while eating basically the same food served at the restaurant. 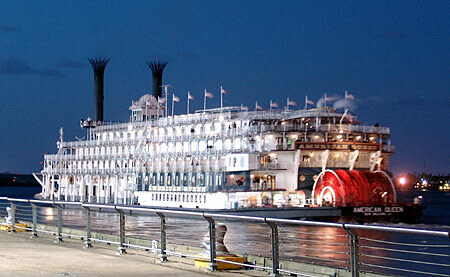 This is the only dinner cruise in the Western Kentucky region. 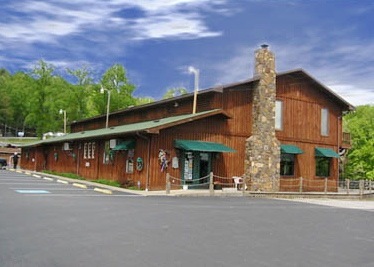 Mammoth Cave Lodge is run by Forever Resorts, which also runs a dozen other national park lodges and restaurants. The menus are standard and the food shipped in. There are actually two eateries here : The Crystal Coffee Shop and the Travertine Restaurant. The Coffee Shop serves mainly fast food. Travertine is what you come for. This 1960 lodge is about to be replaced with a newer, Western style lodge with a new restaurant. The one there now has a limited menu. Their signature items are their Southern Fried Chicken, Rainbow Trout, Biscuits and Cherry Preserves. Other popular items are Catfish, Country Fried Steak, Ribeye and Pork Chops. The best of the desserts are their Pies, which change seasonally. The drive into the park is especially scenic in the Fall when leaves are in full color. Travertine closes early each evening, so this has to be a day trip. Bowling Green folk drive to Russellville to eat at The Cattle Pen, on Armory Drive (as you come into town turn north on Breathitt, which becomes Armory). Although it got off to a rocky start in 2008, service has improved and so have the crowds. Owner Steven Kerr uses locally grown, certified Angus Beef steaks. The cattle are grass fed and get no growth hormone injections or steroids. They're not frozen and shipped long distances so preservatives aren't necessary. They offer Sirloin, Ribeye, T-bone, and Filet in two sizes. Sides include Baked Potato, Broccoli, Rice Pilaf, Mashed Potatoes, Fries, Steamed Vegetables, Cole Slaw, the Salad Bar and Soup of the Day. They do offer chicken and seafood entrees, including Catfish grilled or fried and Salmon grilled, but so far those have not equalled their steaks. The slow service is due to the kitchen taking its time on the steaks. Their Bully Burger, Western Philly Burger and Ribeye Sandwich are also worth the stop. Even before the Doe Run Inn there was Wolf's Tavern in Henderson. 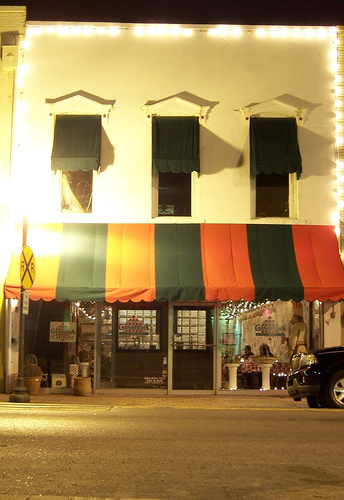 This beloved Green Street landmark has been the best restaurant in the region since 1870. It is famous for Bean Soup, Kansas City Strip, Bourbon Braised Steak and Kentucky Hot Brown, but does a very good job with Catfish and Tilapia. The Prime Rib Sandwich, Baby Back Ribs and Chicken BBQ are local favorites. They don't always have the Yellowtail Flounder but when it's their daily special it is definitely worth ordering. Wolf's closed back in 2009 and reopened in 2010. Not only has the quality been upheld, it's actually better. While it was closed the interior was "refreshed," so it now has a 21st Century look with a big flat screen TV for watching UK games, but they've kept the historic woodwork, layout and bar. Wolf's offers a very good Sunday brunch. This is a two century community hangout so expect lots of good conversation. They've got the best Bourbon selection in Western Kentucky. Mrs. Janey's House in Sacramento is unique. Mrs. Janey was a prim and proper schoolteacher for 50 years. 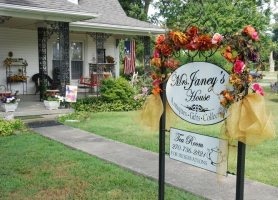 When she died her two nieces turned her home into a gift shop and tea house. They only open for lunch, and only on Friday and Saturday. They stage theme, character and mystery lunches once a month. But regular lunches are also worth a visit. They use real china, silver and napkins. Lemonade Tea, Strawberry Soup and Strawberry Scones are three items you won't find anywhere else. Then you get to Spinach Stuffed Pork Loin, Asparagus Tomato Salad, and Roast Fingerling, Red & Russett Potatoes. The nieces wrap their green beans in bacon coils. The menu changes. 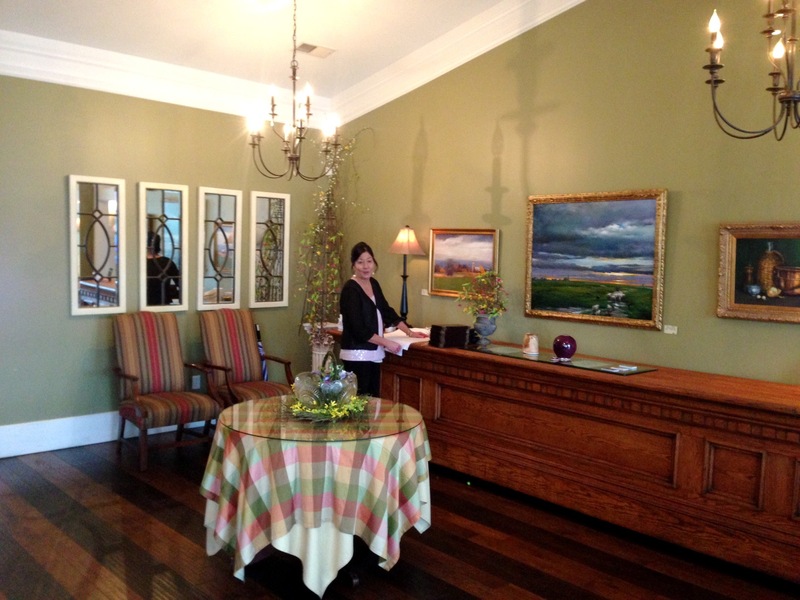 Sometimes you're served Cheddar Cheese Scones, Creole Chicken, Raspberry Hot Tea and Wild Rice & Artichoke Salad. Or Pork With Blue Cheese Gravy, Broccoli Slaw, Rosemary Roast Potatos and Bacon Wrapped Chicken Breast. Desserts are legendary. Dress appropriately. 270-736-2821 Reservations Required. If you want Italian food, your best bet is Defabio's Casapela in Madisonville. Service can be spotty, depending on which night and how crowded, but the food is good and the restaurant itself is very classy and intimate. Peter and Lauren Defabio opened here in 1995 and daughter Sarah graduated from Sulliven University's Culinary Institute in Louisville, so they've had two decades to refine the menu. It's not an extensive menu, in keeping with the 21st century style of fewer entries done very well. But all meals come with a large Salad (leaf lettuce, grape tomatoes, black olives, marinated onion, shredded carrot, garbanzo beans, peperoncini peppers and a vinaigrette) and small loaves of freshly made bread. There are seven main dishes : three fish, two meat, two poultry. We particularly like the Tuna Florentine with applewood bacon, spinach, gorgonzola and pine nuts, but the Chicken Marsala, Piccata and Parmigiana are very, very good. Their Spaghetti is a generous serving with a fine meat sauce, ground beef, chopped tomatoes, onions and peppers. The Manicotti is one of their highlights, stuffed with creamy ricotta and herb filling and topped with marinara and mozzarella. The key dessert is Cannoli, filled with ricotta and maraschino cherries. The wine list is short, but includes several international selections. Most locals consider this the classiest restaurant in Madisonville, so on a Friday or Saturday night it tends to fill up. Go early and beat the rush. 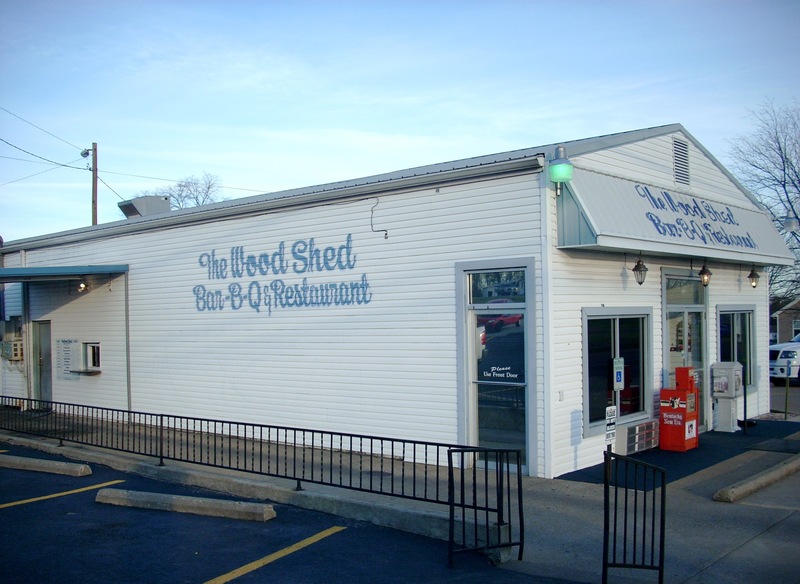 The Wood Shed is Hopkinsville's contribution to Barbeque. It's a down to earth place with seating for 80 and lunch and dinner crowds of twice that many. You start with a bowl of Burgoo and a slice of Cornbread. Since Gabe's closed in Owensboro, this is the best Burgoo in Kentucky, except for what they serve at Keeneland and Churchill Downs. (Burgoo is a stew of pork, vegetables and whatever the chef has on hand. BBQ outlets usually use BBQ ingredients. Burgoo is slow simmered in a cast iron pot.) Another signature item is their BBQ Mutton Sandwich, with Slaw. But the serious eating is the full scale BBQ for dinner. You can get Pork, Ribs, Chicken or Mutton. 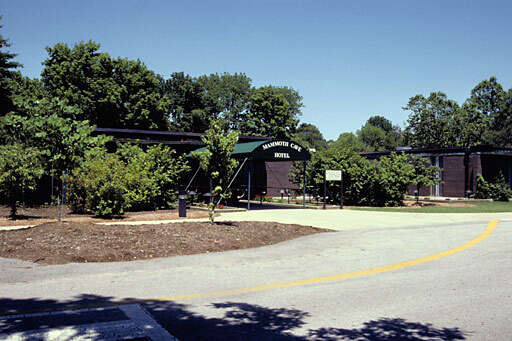 They also serve up a fine Catfish, Pork Chop, Liver & Onions, Dumplings, Stuffed Green Pepper, Meat Loaf, Country Fried Steak, Salisbury Steak and Pepper Steak on various days of the week. Sides include Corn on the Cob, Potato Salad, Green Beans, Sweet Potatoes, Mac & Cheese, Butter Beans, Turnip Greens, Black Eyed Peas, and Hominy. There's Chili in season, and sometimes Beef Stew. 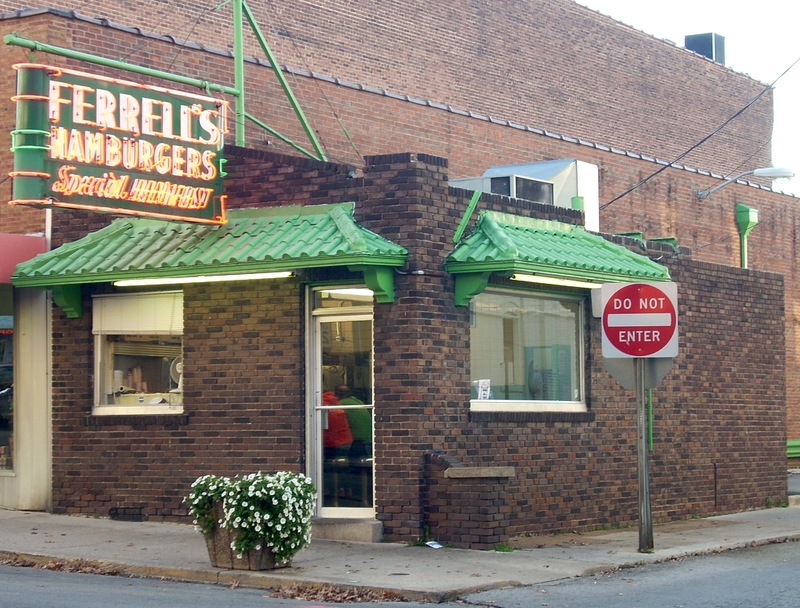 On the west side of town on Route 80, the Wood Shed closes at 8 p.m.
Ferrell's is a classic hamburger joint. They fix only hamburgers. There's a counter with a few seats and Mrs. Ferrell fixes your burger while you watch. You can top it with cheese, onions, lettuce, tomato, mustard, or ketchup. 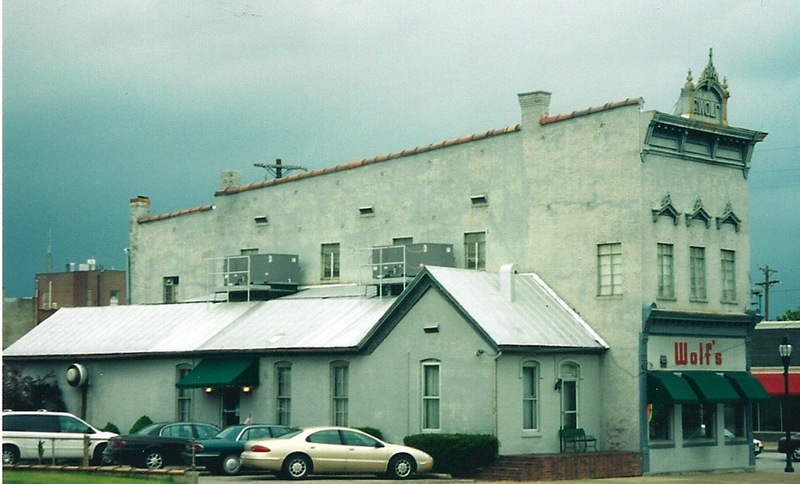 The place has been at the same Main Street location in downtown Hopkinsville, a block South of Route 80, since 1929. Mrs. Ferrell is 89. She's have been there from the start, although the original owner, David Ferrell, has died. This is a Hopkinsville icon. 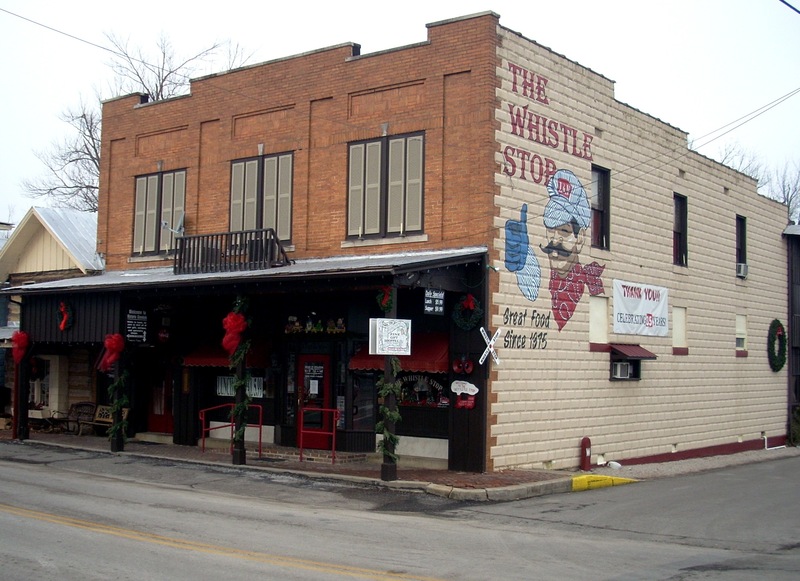 It has its own webcam, facebook page, and loyal fans who stop by daily or whenever they're in town. It will be the smallest restaurant you've ever seen. The Health Department has issues. They complain that Mrs. Ferrell uses the same hands to handle money, unpack buns and roll the patties. None of this fazes the customers, who also ignore the recent price increases, which Mrs. Ferrell says were necessary because the electric bill went up. Mrs. Ferrell peppers the burgers. Some people complain it makes them "hot." Mrs. Ferrell says it makes them "lively." Apparently most Hopkinsville burger fans like theirs lively.